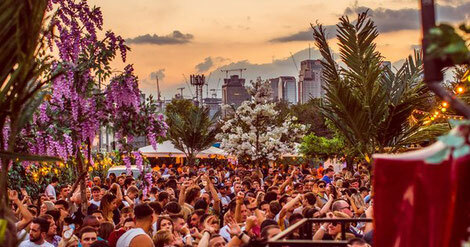 London’s Studio 338 recently announced line-ups for seven of their Made For Summer season of events, with Mood II Swing, Maya Jane Coles, Raresh, 67, D Double E, Danny Tenaglia, rRoxymore and Oneman just some of the names confirmed for the venue. Possibly regarded as one of the leading electronic music venues in London, Studio 338 is quite literally ‘made for summer’. From the vast soundproof glass atrium which houses the venue’s main dancefloor, through to the various outdoor spaces, rooftops and gardens which surround it, the Greenwich venue is set up for dancing from day through until night. New editions include a showcase from Rinse FM, D&B from Hospitality and the launch of a new brand from Studio 338 called Strange Places which will aim to explore “electronic music which is harder to define and categorise.” Old favourites such as Space Ibiza, Sankeys, Home and Abode will also feature heavily with their day and night parties. Studio 338’s Creative Director Dan Perrin says: “Summer is always a really exciting time here. We have never seen ourselves as a nightclub but rather as somewhere people can enjoy music throughout the day and night. This is something we have always kept in mind as we have developed the space and you can really see this come to the fore in the summer months. Priority tickets for the Made For Summer series are available now. Line-ups for the remaining parties along with special guest announcements will be made in the coming weeks.